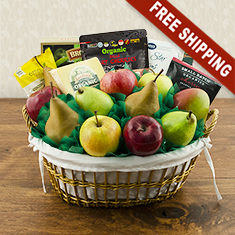 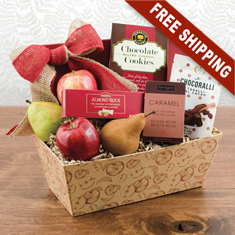 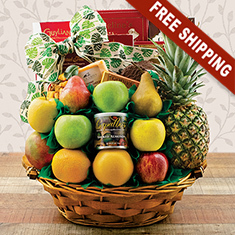 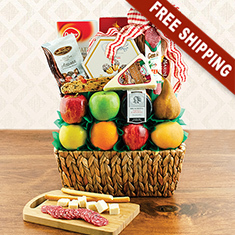 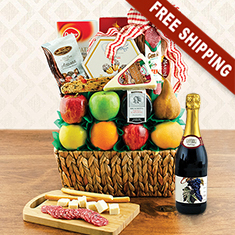 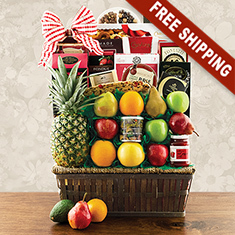 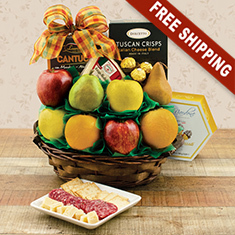 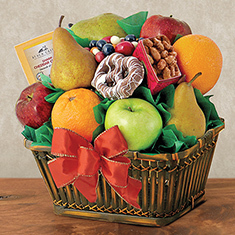 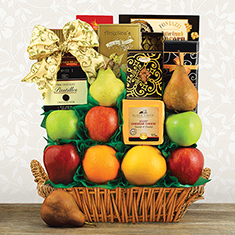 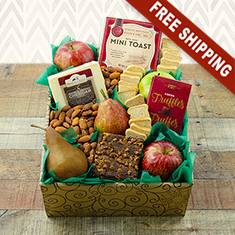 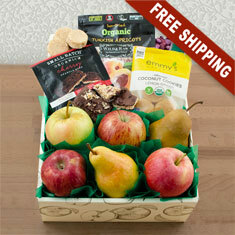 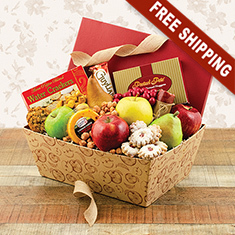 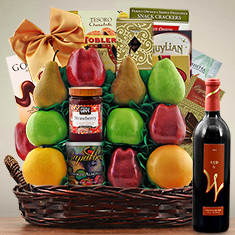 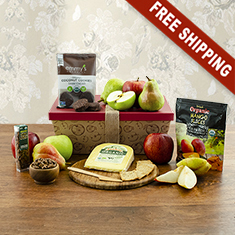 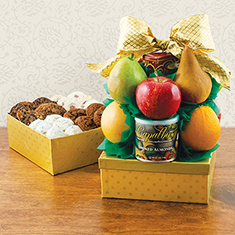 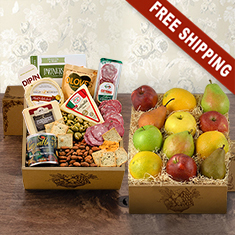 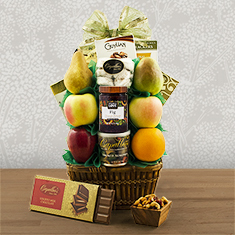 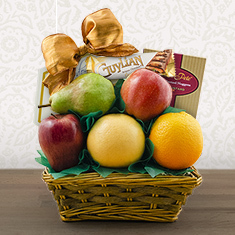 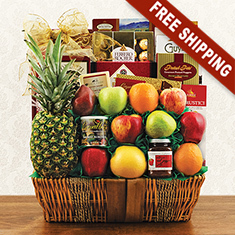 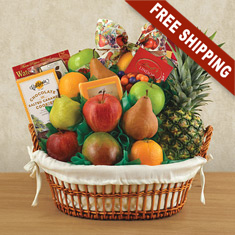 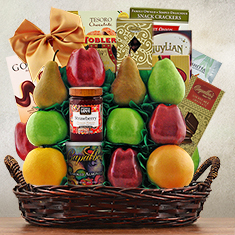 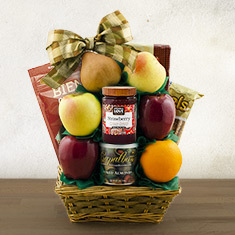 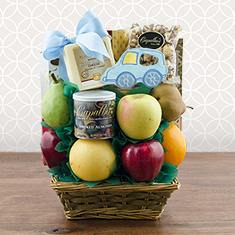 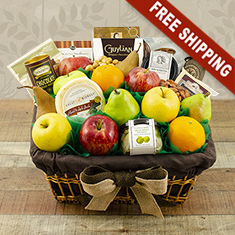 These gift baskets are a delicious pairing of pears, apples, oranges and other fresh fruit of the season with glorious gourmet foods, many imported from Europe. 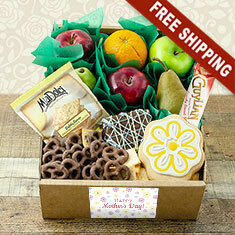 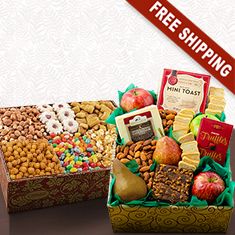 You can enjoy cakes, cookies, cheese and crackers, chocolates and truffles, jellies and nuts. 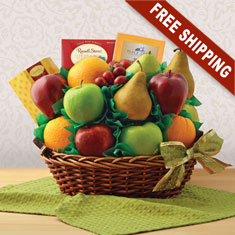 It's all good!